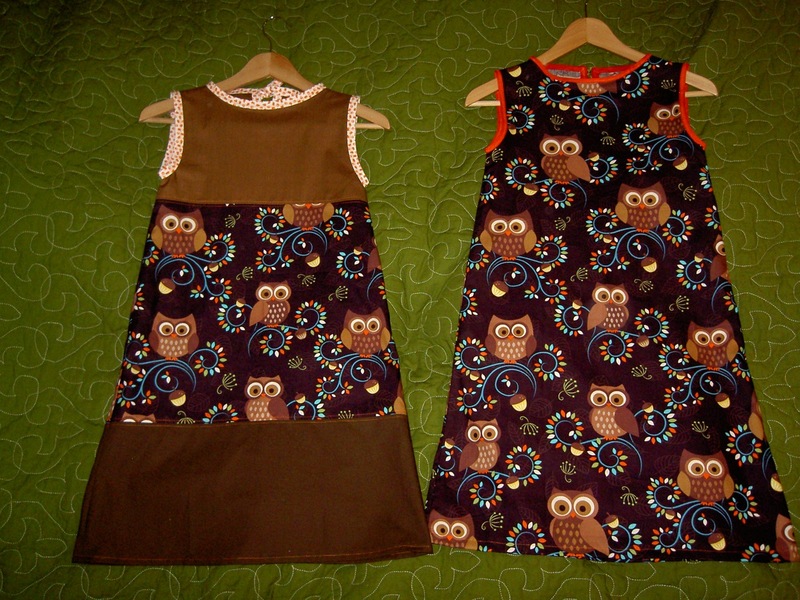 One more happy hour of evening sewing with the remnants of the owl dress. Miss R will be so happy in the morning to know she gets one too… And I am happy that a long workday of writing, meetings and teaching can end on a happy creative note. The two browns on the left are different, incidentally, with the bottom one a tone or two darker. The owls are some sort of Michael Miller fabric that I do find rather dated even if I just bought it. But can we say it is dated in a totally hip way? Miss R will love it! Well done! They turned out very cute Juliet. I think I like the scrappy one even better. Looking forward to seeing you soon. So precious! Every little girl will want to be your friend.